Cobalt seems to be all the mining world wants to talk about right now. At first, this cobalt craze was surprising, but now it makes total sense. The blue element is an important component in the manufacture of lithium-ion batteries, required for electric vehicles, laptops, smartphones and energy storage. Australian-sourced cobalt could prove a very lucrative next layer of the renewables boom. Alloy Resources (ASX:AYR) has recognised the opportunity on hand and branched into cobalt by stretching its goal posts beyond gold-encrusted WA... all the way to the other side of the country in Broken Hill, NSW. The junior explorer has quietly acquired a new license in this cobalt-rich region. The well positioned AYR is hoping to define a large cobalt resource of up to 50,000 tonnes like it’s neighbours at its Ophara Cobalt-Gold Project. This is a large land holding containing its main prospect, the Great Goulburn Cobalt-Gold prospect. 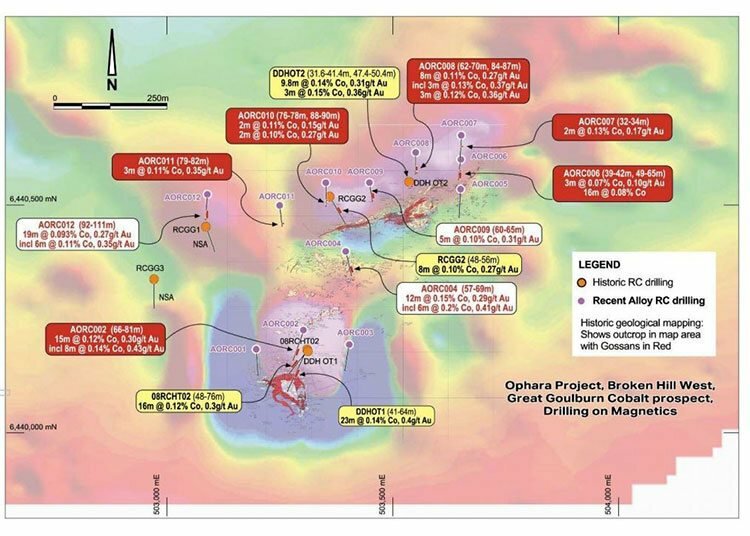 AYR’s interest in the Ophara Project was based on six historical drill holes, four of which showed intersected mineralisation and results of 8 to 20 metres at 0.15% cobalt and 0.3-0.4 g/t gold at depths of less than 80 metres. The shallow nature of which bodes well for this junior explorer. The Ophara Project has mineralisation of a similar style to the Thackaringa Cobalt Project which contains 50,000 tonnes of cobalt with pyrite. It is also similar to the Mutooroo deposit held by $63.7 million-capped Havilah Resources (ASX: HAV) which contains 17,500 tonnes of cobalt with copper and gold. Given the similarities, there is workable upside here for AYR as it looks to lift its $4.35 million market cap. Earlier this year AYR released RC drilling results , which confirmed extensive gold-cobalt mineralisation at the Great Goulburn prospect associated with wide sulphide alteration zones. Past and recent exploration results have indicated that there is an excellent chance for the Ophara Project area to host extensive valuable cobalt, gold and copper mineralisation and AYR has been looking for the most cost-effective way to define the best targets. Of all the historical work found it seems that cobalt mineralisation was showing up in aerial electro-magnetic surveys done over the area 30 years ago. This technique is now much more accurate and AYR is currently conducting a 100 square kilometre helicopter-borne electro-magnetic survey (VTEM) at the Ophara Cobalt-Gold project after deciding this was the best way to define new drill targets under the sand covered plains. Excitement is building as the company has been waiting months to start this survey whilst sheep farmers complete lambing in the area. Interpretation of the survey will be done immediately after it’s completed and then we can expect to quickly see the drill rigs coming in to test the strongest targets. 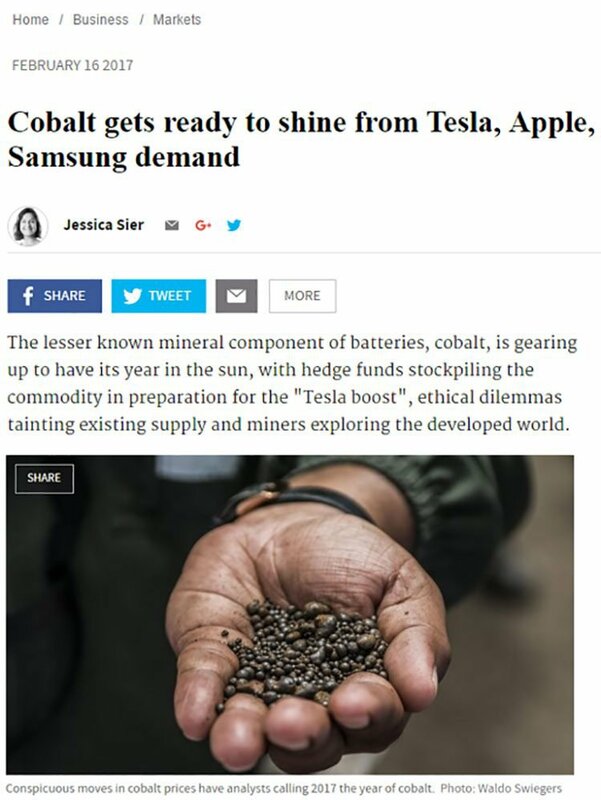 It’s a great time to be a cobalt explorer, with cobalt considered to be one of the foundations of the clean energy future, and a potentially lucrative investment if current demand projections are proven right. But in order to meet future demand cobalt production will need to rise considerably, and AYR plan to step in to help fill that role to meet future supply needs. Its cobalt play is an adjunct to its flagship gold project in WA, where it has a 40% stake in a joint venture just 50 kilometres from the $2.5 billion capped Northern Star Resources’ (ASX: NST) 220,000 ounce/per annum Jundee Gold Mine. 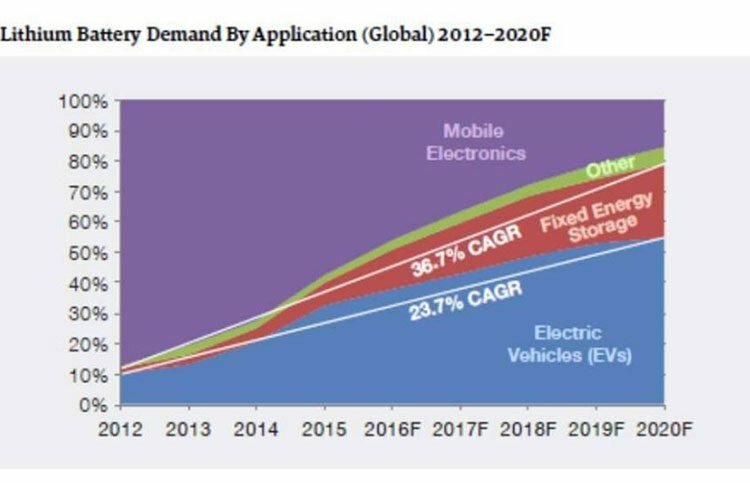 As 48% of produced cobalt is now consumed in battery technologies and 68% of lithium-ion batteries require cobalt, it’s no wonder the cobalt price has risen 130% in 15 months from AU$32,000 to AU$72,000 per tonne. It doesn’t look as if it will recede anytime soon either, with the lithium-ion battery market expanding at 35% year on year and consumers looking for ethical supplies away from high sovereign risk nations such as the Democratic Republic of Congo. 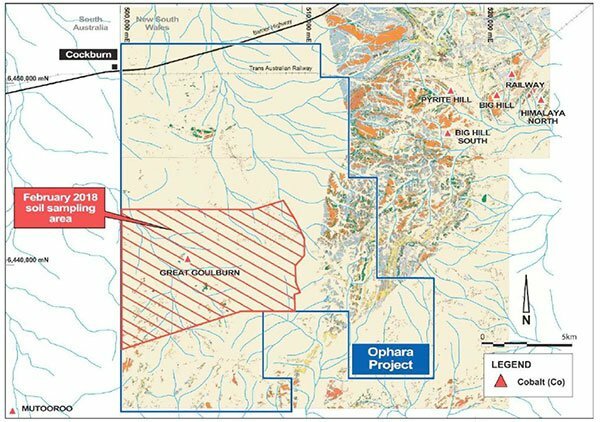 With that in mind, what we want to focus on most here is the company’s cobalt-gold-copper Ophara Project and in particular the Great Goulburn Cobalt-Gold-Copper prospect located just 50 kilometres west of Broken Hill as you can see in the map below. In October 2016, AYR was granted a project license and signed land access agreements with local pastoral lease owners. AYR hit the ground running after that by conducting an RC drilling program in a 6km by 2km area known as the southern Curnamona Craton to see how far the mineralisation would extend. Results provided the confidence boost any small-cap needs early on. AORC002 ‐ 8 metres @ 0.14% Cobalt and 0.43 g/t Gold, from within 15m @ 0.12% Co and 0.30 g/t Au. AORC008 ‐ 3 metres @ 0.13% Cobalt and 0.37 g/t Gold, from within 8m @ 0.11% Co and 0.27 g/t Au, and a further 3 metres @ 0.12% Cobalt and 0.36 g/t Au. In addition to this, mineralisation in new areas associated with quartz veining and pyrite, show similarities to the nearby Mutooroo deposit. The Mutooroo deposit is a lode-style massive sulphide copper-cobalt deposit located about 60 km west of Broken Hill, with a JORC Resource of ~13.1 million tonnes of 1.48% Cu for a total contained 192,000 tonnes of copper, 17,540 tonnes of cobalt, 93,000 ounces of gold and 2,500,000 tonnes of sulphur. Historical data suggests that there could be more and stronger sulphide conductors in the area. These results provide a clearer focus for further drilling, including aerial EM surveying and follow up drill testing for the top priority areas. Key to this program is the company’s ability to interpret the mineralisation, and the revelation that the prospect has a combination of strata‐bound mineralised quartz‐magnetite units, and areas where mineralisation is more related to faults and quartz veins with sulphide. This is a very interesting combination as it relates to similar controls as seen at the Mutooroo deposit located just ten kilometres to the south west. Also worth considering is the company’s ongoing review of historical aerial EM survey data completed by BHP in 1991. It turns out the Great Goulburn prospect is only one anomaly amongst numerous within the area. Yet there has been little to no drill testing of these, offering a great opportunity for future exploration. The survey highlights extensive areas of conductive material, including the Thackaringa Cobalt deposits. Further to this, the small Great Goulburn prospect survey in 2001 confirms the iron sulphide is the source of the conductor in this area. What these surveys suggest is that AYR could be just scratching the surface, with new conductors to be defined. AYR is now completing a VTEM survey covering 500 line kilometres. Completion of the survey is just days away, with independent consultants Southern Geoscience of the impression that the area being surveyed is highly prospective for conductive bodies. 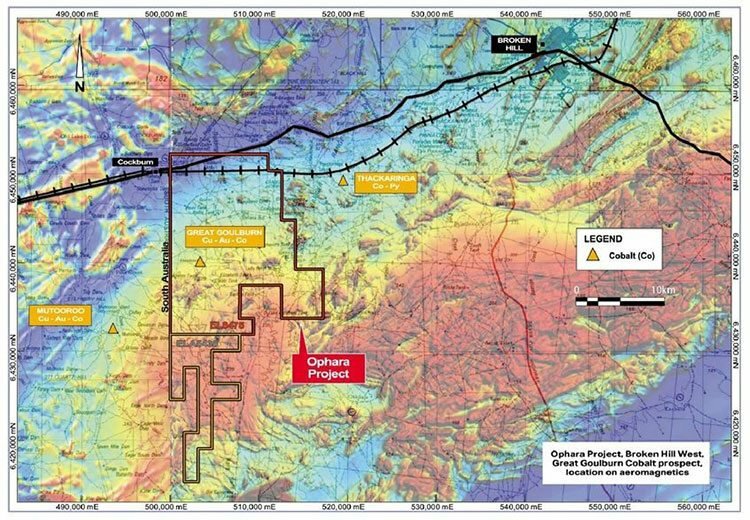 The VTEM survey is expected to locate priority sulphide drill targets with potential to host cobalt-gold-copper mineralisation under very limited outcrop and transported cover within a 50 square kilometre area around the Great Goulburn Prospect. As you can see, it showed known magnetic mineralised horizons and newly highlighted magnetic targets. AOR002 – [email protected]% cobalt and 0.43 g/t gold, from within [email protected]% cobalt and 0.30 g/t gold. AOR004 – [email protected]% cobalt and 0.29 g/t gold, from 57-69m. AOR012 – [email protected]% cobalt and 0.27 g/t gold, from 92-111m. 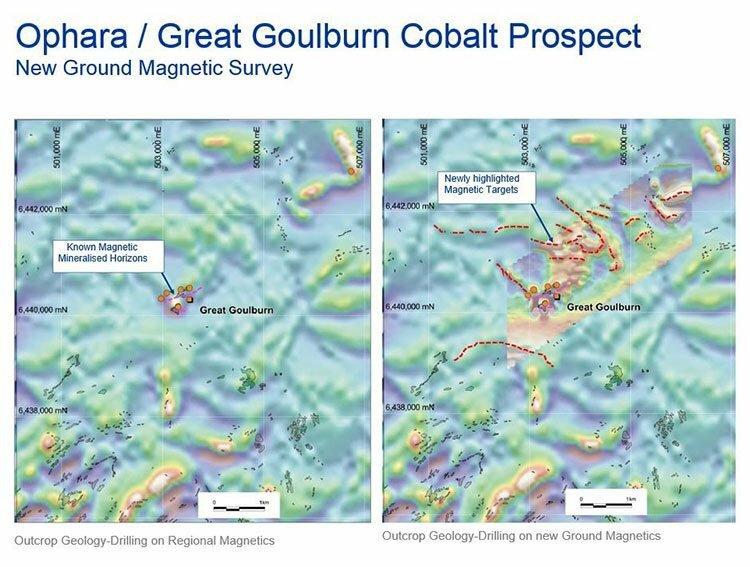 Cobalt certainly holds a lot of promise for AYR, with these recent results suggesting there’s potential for widespread mineralisation within the Goulburn prospect. 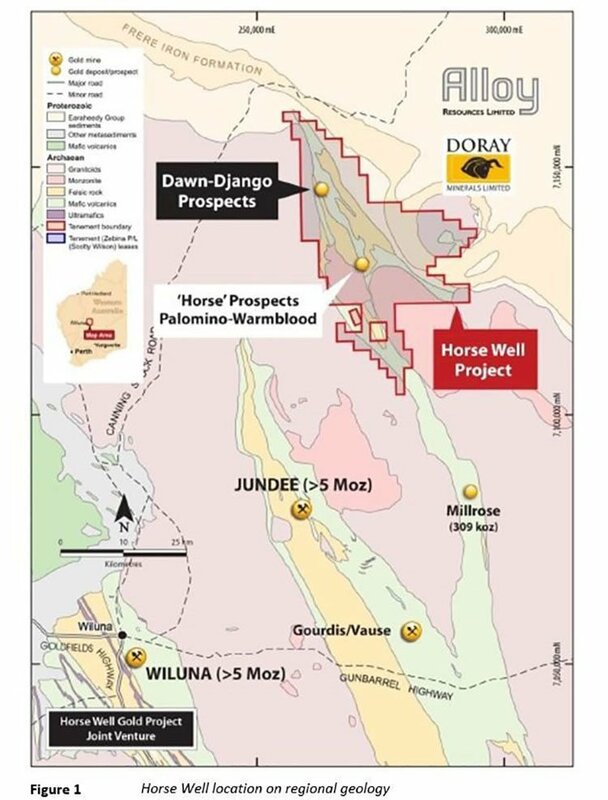 But while all the attention seems to be tuned in to cobalt, it’s important to not forget AYR’s flagship Horse Well Project and its gold production potential. 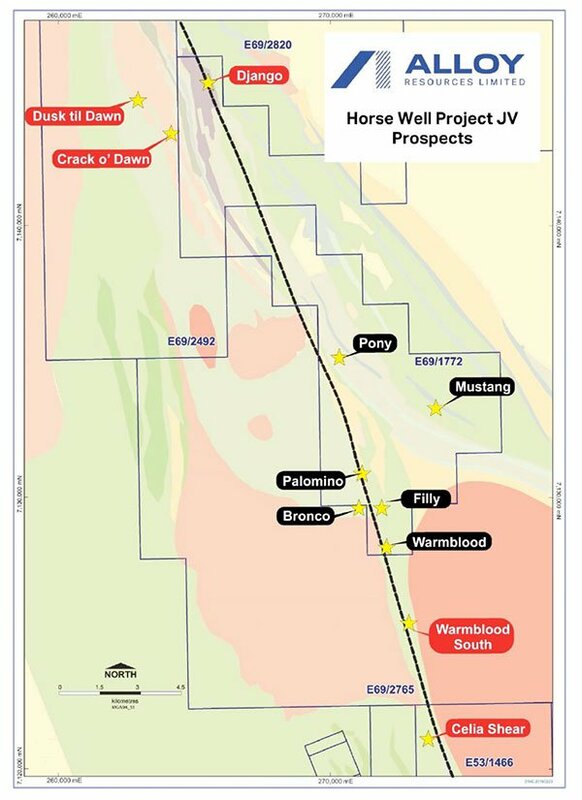 AYR’s 40% interest in its Joint Venture Horse Well gold project in WA has now undergone an air-core drill program of around 28,000m. This joint venture with Doray Minerals aims to delineate a 1 million ounce gold reserve, hoping to hit the mark and become a 100koz per annum operation. The drilling showed three large anomalous gold trends extending south from the Django and Crack of Dawn South prospects. The latest round of drilling is now complete. Here are some of the outstanding results: 4m at 1.49 g/t gold from 72 mdh and 4m at 0.90 g/t gold from 76 mdh. The JV has now completed the $2 million minimum in exploration expenditure required during the 2016 calendar year as part of the final stage three minimum Joint Venture commitment. From here on, exploration will be based on budgets agreed by the Joint Venture Management Committee. As well as defining extensive new gold anomalies through the area south of the Django prospect down to the Pony prospect, the belt at the junction of western metasedimentary rocks with eastern mafic rocks hosts a large suite of granite. This is noteworthy because it could signal significantly more geological complexity (which spells, you guessed it, mineralisation); even more so than was found at the Django prospect. Not one to leave a stone unturned, AYR are going for a combo knock-out, hopefully replicating the success of each venture with the one before it. 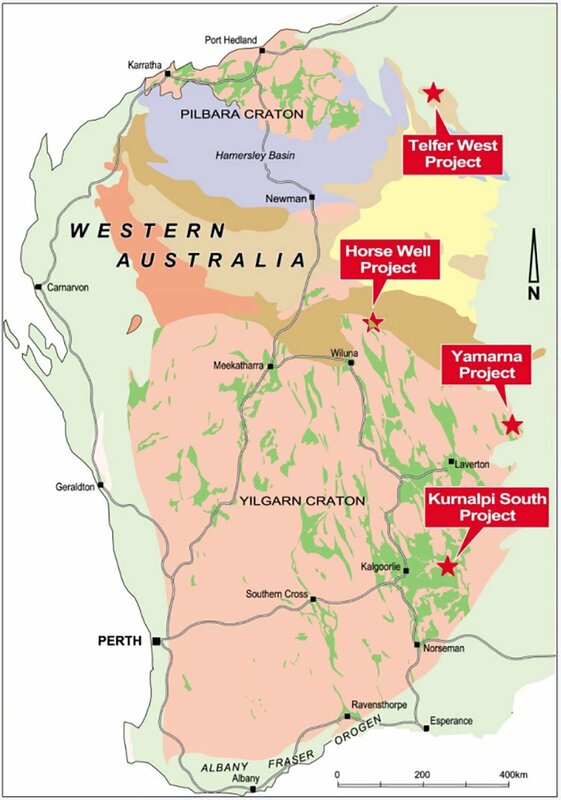 These are the Kurnalpi South project, which was recently granted; and the Yamarna and Telfer West projects, which are both in the application stage. AYR is planning to undertake field checking of anomalous areas at its Kurnalpi South project in preparation for future field work, and it has applied for an additional Exploration Licence in this area. AYR is sitting tight on Telfer West and Yamarna, awaiting the results of its application. AYR’s market cap is hovering around $4.35 million... but with several domestic projects on the go, combined with the promise of news flow in the near-term, AYR’s share price has a lot of room to move. Following interpretation of the VTEM survey currently underway at Ophara, which the strongest conductors will be defined and RAB/Air-core drill testing completed to define cobalt-gold-copper mineralisation. Expect plenty of news flow as AYR recommences active exploration programs at the promising project. Neither project is a side hustle, in fact each alone could warrant the same amount of attention AYR as a whole is getting. What we could be seeing is the construction of a powerful portfolio of mineral plays across the country. If AYR is able to hit its targets over the next 6-12 months, we could see a new major explorer emerge from the mining heartlands of WA and Broken Hill, NSW.